The following article is another in our series that examines average employee turnover rates by industry. In this article, we hold the retail industry under a microscope to see what might be affecting employee turnover and retention rates, and why employees in this industry are some fleeting. 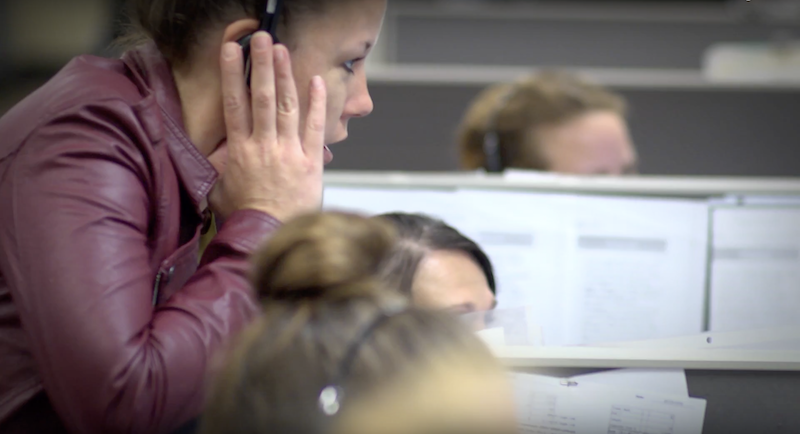 According to research conducted by The Quality Assurance & Training Connection (QATC), the average annual turnover rate for agents in US contact centers ranges between 30-45 percent, which is more than double the average for all occupations in the U.S.
High turnover and abbreviated tenure at contact centers mean high costs for recruiting and training, lost employee productivity, and diminished morale at the workplace. Discover what contributes to high turnover, and what specific steps can be taken to improve the metrics. Turnover rates within contact centers vary based on a number of attributes. For example, according to research conducted by analyst firm, Contact Babel, the outsourcing sector one of the most vulnerable types of contact centers when it comes to turnover. It’s also a sector seeing the most change of turnover year-over-year. In 2016, outsourcing contact centers had a mean turnover rate of 73%, in 2017 it was reported the turnover was only 49%. Ask yourself, how does your turnover fare, compared to these statistics? Additionally, low pay plays a role in the high turnover rates at contact centers. As many contact centers staff majority minimum wage roles, keeping up with competitors like Amazon, who hire employees with a similar skill set is increasingly difficult considering the tech giant continues to increase their wages. Combining the root cause and the result of turnover starts to generate innovative ideas for curbing turnover as a contact center operator. By adding diversity to your agent’s jobs, you can help counteract boredom. One of the most cited reasons for leaving a contact center, according to Mercer’s study, is the lack of career advancement and job support. Training and development can help associates see a clear career path of progression within your organization, which can incentivize them to stick around longer and grow with your company. If a clear career path is not an option, enhanced training programs are still valuable for contact center agents to succeed and feel more secure in their role. 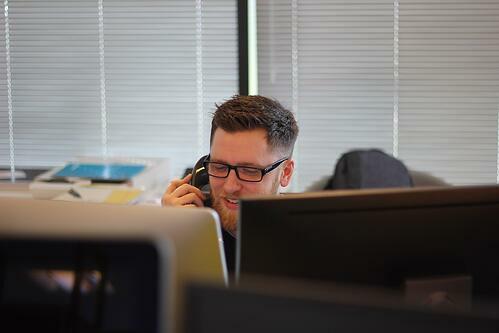 Many contact center agents are forced into learning the role while on-the-job. This can cause undue stress while fielding escalated calls. When employees must provide difficult answers, without appropriate information and training resources, it can push employees toward disengagement at a faster rate than those who feel prepared to handle emotional customer calls. Researchers in Italy recently found that promoting the well-being of call center employees is an important key to fostering job satisfaction and reducing turnover. If for any reason service dips below the expectations, emotions like negativity, aggression, anger, and frustration can occur. Subsequently, these emotions are pushed on to your agents which can create a stressful work environment, that sometimes bleeds into personal life. By nature of the job, contact agents mask their natural emotions in the name of customer service, which can create emotional dissonance. As the researchers found, emotional dissonance has a direct correlation to job satisfaction and turnover intentions. Organizations who focus on training or benefits directed toward employee well-being, can improve employee engagement, productivity, and decrease turnover. Or those who bear the brunt of the work to cover for absent employees will become overworked, burnt out, and eventually leave. One way to discourage absenteeism could be to offer rewards or incentives to those who practice responsible work habits. For example, organizations can consider offering increased paid time off, or schedule flexibility to help accommodate unavoidable absenteeism. Giving your employees a reason to come to work, and stay engaged at your workforce is the key to improving your retention rates. Want to learn more about how DailyPay is curbing turnover costs for contact centers?